It’s that time of year where goal-setting kicks into high gear. The month of December and January are infamous for New Year’s resolutions, but according to statistics, year after year, only 8 percent of individuals actually stick to and achieve their goals. To become that 8 percent, experts say the best way to achieve goals is to write them down, make a plan and be accountable. 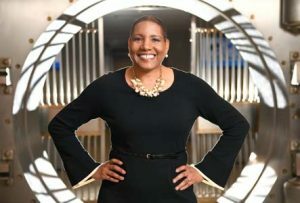 Zaneilia Harris of Harris & Harris Wealth Management, a personalized financial advisory firm for women, says that research has shown people are more apt to accomplish their goals when they are written down. In the financial sense, writing down these goals and current cash flow gives a clear perspective of finances — where you are and where you want to go. Harris recommends that no matter what stage a person is in life, meeting with a financial planner can help bring those goals in alignment. “A financial planner can connect your finances to your life goals and provide recommendations and strategies to help you achieve them,” Harris says. Ultimately, it is up to the individual, she says. But if the goal is written down, the person is more likely to say no to spending habits that do not align with those goals. 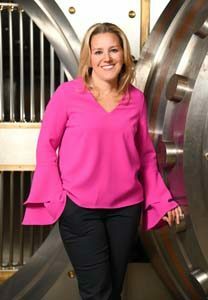 Dorie Fain, CEO and CFP of &Wealth, a financial advisory firm for women managing major life events, says many people are unaware of what they have and what they need. Writing down financial goals that also align with your core values is important, she says, so that you aren’t mindlessly spending. “People spend money based on their values. Make sure that the way you are spending money is an actual reflection of what is important to you. Simply writing down your goals helps with this. It’s a commitment and reminds us to be mindful, aware and present,” Fain says. Writing it down isn’t just for financial goals. 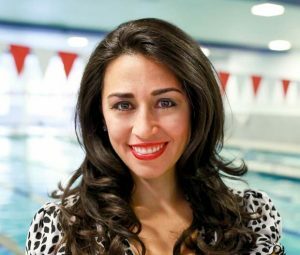 Vicki Brick, CEO of Brick Bodies, a family-owned world-class health club, recommends setting SMART goals: Specific, Measurable, Actionable, Relevant and Timely. Each year, everyone on the Brick Bodies team is given a goal card for personal and work goals, and is asked to write them down. Each individual signs and dates it, and returns to the card as a reminder of what he or she is working toward. “We want everyone in our organization to dream big, and help everyone achieve their dreams. The goal cards allow them to focus on their goals every day,” Brick says. 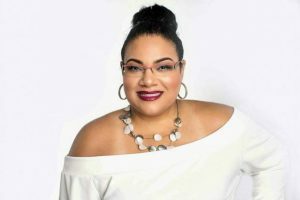 Renay Butler, owner of The Life Over Coach, a business and wealth-building enterprise, says it doesn’t matter what type of goal it is, what matters is writing it down and having a plan to achieve it. “Your goals aren’t real until you write them down. You need a plan, and you need to determine what steps are needed to achieve your goals,” Butler says. The old adage “if you fail to plan, you plan to fail” — is a powerful, yet simple statement that Butler instills in her coaching clients. Often times, she says, people do not know where to start once they’ve developed their goal. That’s why planning and goal-setting go hand in hand, she says. As Fain has worked with clients, she has seen that the reason many fail to attain their financial goals is because they feel overwhelmed. “When it comes to finances, people tend to bring emotional baggage about the messages they have received, which makes it more overwhelming and daunting. It gets to become too big and scary, so we bury our heads. But it will never go away,” Fain says. Which is why breaking each goal down into smaller parts is essential. Smaller goals are digestible, and can be the key to success. In her experience, Brick says that sometimes the hardest part is getting started. That’s why she believes her SMART technique to setting goals is beneficial. Your goal is specific, you determine how you will track it or what determines your success, and how you plan to get there. If your goal is to lose 10 pounds, for example, you may outline a plan to attend three spin classes a week, drink more water and eat more vegetables. Starting small helps promote routine, which then evolves into habit. Whatever your goal may be, not having an accountability plan is a fast track to failure. Not only should you be accountable to yourself, but you should also find an accountability partner, says Butler. “That person can be the one to remind you of the goals you started out with and check in with you to see what progress you’ve made,” she says. For financial goals, that accountability partner may be a certified financial planner who will check in periodically. For health and fitness goals, that could be a workout partner, or even the myriad apps that track workouts and meals. The key, says Brick, is to surround yourself with people who have similar goals.